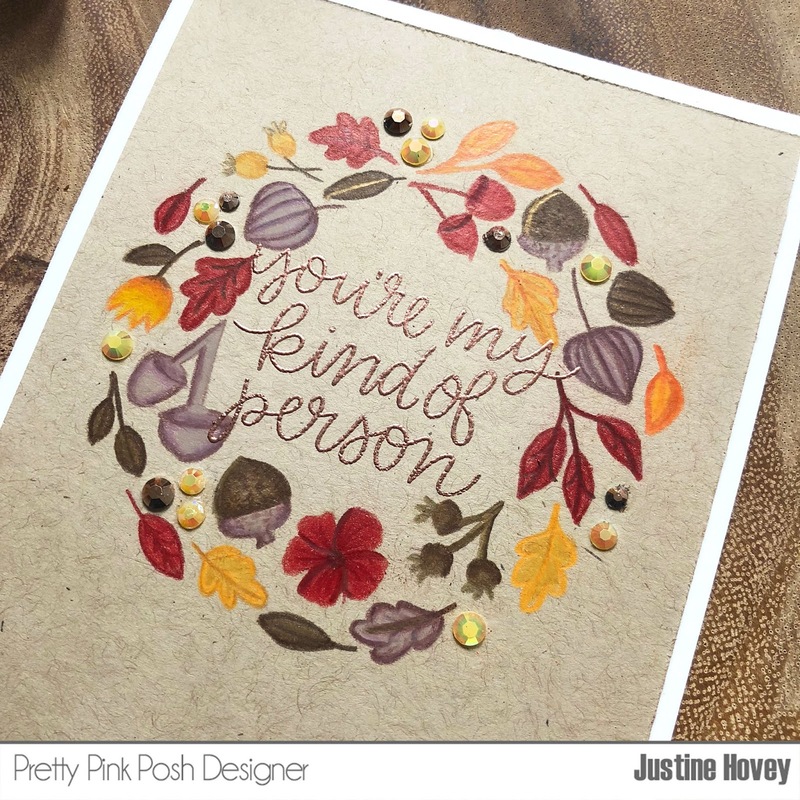 Today I explored the world of no-line colouring which I have only done a few times and thought I would try it out using some fall colours on kraft cardstock. 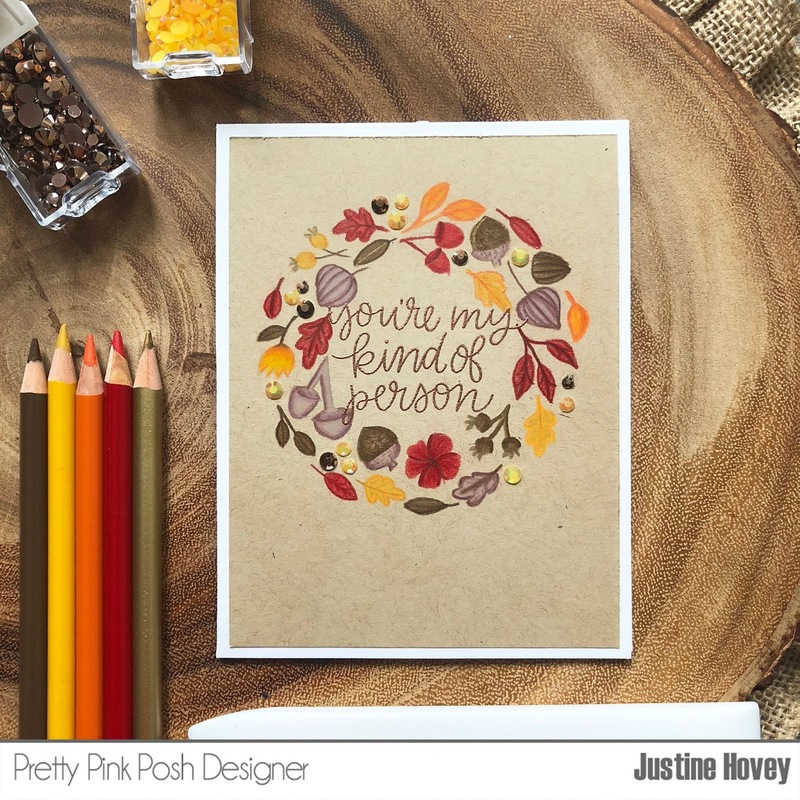 Kraft cardstock is a staple in my craftroom in the fall because I think it coordinates perfectly with red, yellow, orange and brown. I used the Autumn Wreath stamp from the latest release since I wanted small, manageable images to colour. Each time I saw a small dot where I was to colour, I embellished it instead with Espresso and Marigold sequins to add more interest and to save on some of the colouring. I used my Prismacolor pencils to colour this image. I finally embossed the sentiment using Penny embossing powder and the Simple Sayings: Kind stamp set. I mounted my card panel onto some white cardstock to add a frame around my card and add some brightness for a finished look. Very nice post, thanks a lot for it.